Feline diabetes symptoms will vary depending upon the type and stage of the disease. But they can be easy to miss, especially early on. Excessive urination (polyuria), and excessive thirst (polydipsia) are the classic signs of diabetes in cats. In the early stages of the disease, otherwise healthy cats will often show few other symptoms, if any. 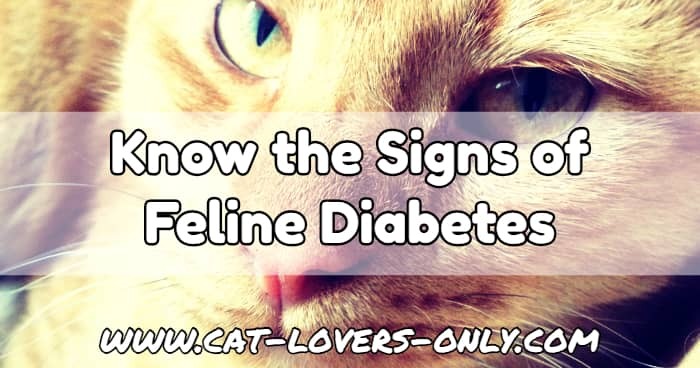 The prime candidate for diabetes is an older obese male, but it can affect male or female cats of any age. Although this is one of the most serious cat health problems, this is often a very manageable disease. 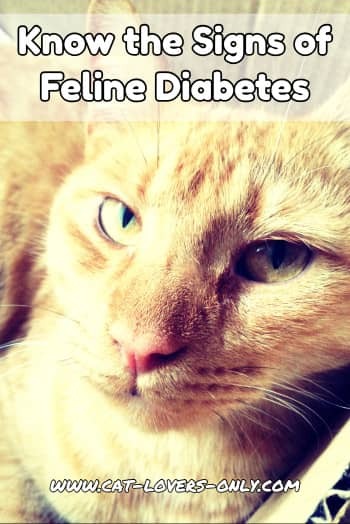 Most cats with diabetes can live out full, normal lives, except for the need for treatment. Some cats that receive treatment may experience only mild forms of these symptoms, and others will stop requiring treatment after a time. As in humans, weight management is a key factor, as is level of exercise. Both weight reduction and exercise help your cat to regulate blood sugar levels. You can help to prevent the onset of this disease by doing two things. Ensure that you don't overfeed your cat, and also that your cat is getting regular exercise. If your cat tends to be sedentary, stimulate her to exercise by regularly engaging her and providing plenty of toys. As the disease progresses, other signs and symptoms become more common. Dehydration leads to electrolyte imbalance, which can cause a number of problems. Low water volume in the stool can lead to constipation. While periodic bouts of constipation are common among domestic cats, it's possible that dehydration (and some accompanying medical cause) may be involved. If your cat is suffering from constipation, you should make sure there's not something more serious going on. Click "Save" to share this information on Pinterest.